Our premium jumbo ginger is top of the line. With the perfect amount of sun and fertile soil, our plants produce high quality, nutritious ginger. Large, flavoursome and aromatic, this mouth-watering Australian jumbo ginger will turn any dish into a masterpiece. For breakfast, use our ginger to produce a delicious double ginger breakfast crumble, indulge your taste buds at lunch with a side of premium pickled ginger, and then wash it down with your finest home-made ginger beer. Interested? 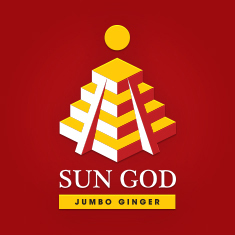 Sun God is the only option for deluxe Australian jumbo ginger. Quality ginger can enhance a range of meals and beverages, including ginger ale. Many people are unaware of the differences between different types of ginger, however not all ginger has the same flavour or is equal in quality. For example, our select Queensland ginger is used to create exquisite desserts, while our quality Canton Ginger has a stronger flavour and is popular in Asian and South Asian cuisines that use seafood or goat meat. Hand selected, all of our ginger is of a quality rarely found. 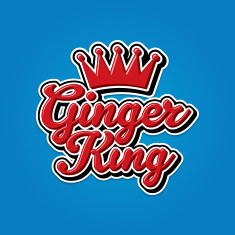 Enjoy the summer with superior ginger from Ginger King. Australian Ginger offers select Queensland and Canton ginger at competitive wholesale prices. This quality ginger is perfect for gingerbreads, cookies, crackers, and cakes, as well as in ginger ale and beer. Alternatively, ginger can be used as an effective food preservative or to help a range of ailments including morning sickness, indigestion and asthma. Additionally, the herb keeps superbly in your kitchen pantry, so buy in bulk and save more! 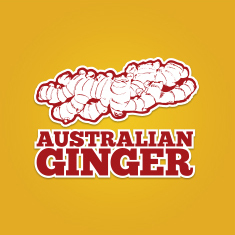 No matter how much ginger you require or what you wish to use your ginger for, order some of our select Australian Ginger today and you won’t be disappointed!